You don’t need to hire sometime to do any search engine optimization (SEO) work for you. This article outlines the essential tips that you can use so that you can become an SEO expert and quickly increase your website ranking on search engines. If you want your website to constantly maintain a high ranking on search engines, then you must read this article. Adding fresh keyword-rich content to your website and blog is the most essential step to increasing your ranking on search engines. It is important that you write and add new content on a regular basis. Search engines like fresh content, and if you want to succeed in SEO, you must have a laid out plan of adding content on your website on a regular basis. Your website ranking on search engines fluctuates according to the popularity of your website and this is partly influenced by the fresh content you add at any particular time. To maintain a high ranking, it is important that you add unique content on a regular basis. Use different strategies to improve your ranking on search engines. You can write articles, press releases or participate in forums. By using different tools, you can double the results of your SEO efforts. Monitor the performance of your website on search engines. If you want to maintain a high position on search engines, you must constantly assess your ranking and identify new ways of increasing your position on search engines. 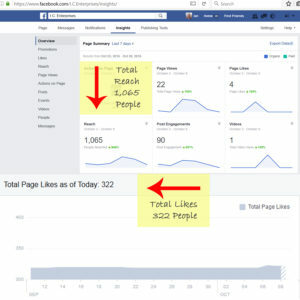 You must also keep up to date with any new techniques that you can use in SEO. Internet marketing is very dynamic, and you need to keep learning new SEO tools. Exchange as many links as possible with other websites. It is also important that you check all your links on your regular basis to make sure that they work. 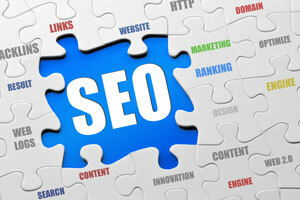 High quality and relevant links can help you rank high on search engines. You will need to make an effort to identify high ranking websites that complement your website and request to exchange links with these websites. A simple plan of action for your SEO strategy is all you need to increase and maintain your ranking on major search engines. Is it wise to post new content on the main website, then copy that content to other blog or social profiles? Will this signal to Google that the content is copying and not get much credit? Do you know any tool that helps to schedule our posting, for example when we post to our Facebook page, then the system will automatically post to our linked In, and other social account as well, that would be convenient? Really appreciate if you can help me resolve these issues. Thanks in advance. Current advice is that duplicating your content should not affect your Google rating providing it is put on your own site first. However, when I am doing this I usually put a short summary on the other sites or social media with a link back to the main article on my own website. This helps get people to visit your main article and increased it’s ranking. I manually do most of my social posting, but I have heard good things about Hootsuit for automatic posting to various platforms. With my blog, which is WordPress based, I use Jetpack and when I write a post it gives me the option to share a snippet and link back on a few different social platforms. Very good info! This is the type of info that needs to be kept a secret. I need to use this advice to improve my site. I have a few sites I need to apply some of this too. Interesting read, didn’t know that you needed to keep the content fresh on the front page in order to keep your rankings high in the search engines. Great read I learned a lot here.